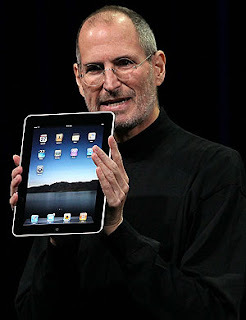 Recently, On apple.com, Steve Jobs publicly released a letter on his own personal thoughts to the questions: "Why don't the iPhone, iPad, and iPod Touch have Adobe's Flash?" Steve responded with a few answers, and at this point, it seems as though these devices will never get flash media. Steve's First Reason was that he wants to keep the iPhone "Open". What he means by this is that Apple created the iPhone Operating System by using webkit technology in which everything was controlled by one's fingertips, and webpages load with incredible speed. He Believes that Adobe's Flash would slow this down a great deal, and he wants to keep the iPhone OS open to only the fastest web platform, which he believes is webkit, not flash. Steve moved on in his letter to address the "Full Web" argument. People have complained that almost all web pages contain flash and people cannot play these flash games and videos on their devices. However, Steve said that Youtube is compatible, which is 40% of video on the web, and the App Store is growing everyday with millions of games to play, so no one should be upset. His last few arguments dealt with system performance, reliability, security, battery life, and touch. By using flash, the system would lag, be less usable, freeze up, and the battery life would drain more quickly. Also, Steve believes that people cannot touch the flash content as well as webkit/html items, and by allowing Adobe to use this, there may be more viruses floating around on apple devices. Flash content allows for this, and he wants none of it. Lastly, Steve said his most important reason for not allowing flash on the iPhone is that he doesn't want to have to rely on third party developers outside of Apple. When Apple needs to update its OS or its system, all they have to do is release an update via iTunes to download and install on a device. When apps need updating, all one needs to do is open up the iTunes Application Store, and viola! you've updated. If Flash were to be allowed, one would have to rely on Adobe to release the update, therefore slowing the time in which the update is released, and also opening up the possibility of a security threat, as Adobe may not have fully checked the update. Steve wants to keep the safest, quickest, and most innovative way of enjoying the device you want when you want it, so he will not allow flash. "Flash was created for mice and clicking" he says, "Not for the use of a finger". What do you think about all of this? Leave a comment below, and subscribe to my youtube Channel for updates: www.youtube.com/DangleKingPC. Thanks for visiting. That don't make any sense.why would you build a device and charge people all that money for something that you can't watch everything on the web.everybody don't watch YouTube.if they don't want adobe flash then why not create a program to allow some kinda flash on their products.